I was lucky enough to be chosen to receive an Influenster VoxBox a few months ago. If you haven't heard of Influenster yet I highly suggest you go check them out! Influenster is a social media site that allows users to leave reviews for all sorts of products including health, beauty, sports gear, and food products. If you are looking at buying something new go check out the reviews on Influenster for reviews written by real people! Another amazing part of Influnster is that they give users VoxBoxes which are boxes of products new products to review for free! My VoxBox included 3 health and beauty products and 2 food products. If you missed my first review post click here. Today I want to share with you my experience with Nectresse 100% Natural Sweetener and Belvita Breakfast Biscuits! Nectresse 100% Natural Sweetener is made by the makers of Spelenda. It is made from Monk Fruit which a very sweet fruit from south China that is used commonly in teas and for medicinal purposes. It is 300 times sweeter than sugar! Nectresse comes in packets like you would see at a coffee shop or resturant and a container that you can use for baking. Because it is a lot sweeter than sugar you only need to use a little bit. 1 packet equals two teaspoons of sugar or if you are baking use a quarter the amount of Nectresse to replace sugar (i.e. 1/4 cup of Nectresse = 1 cup of sugar). The first thing I tried using Nectresse for was sweeting my coffee and it was great! I couldn't tell the difference between using sugar and Nectresse. I'll admit I was a little skeptical about baking with Nectresse because I have used other sweetners in the past and when they are baked they leave a funny after taste. But curisosity got the best of me so I tried using them in a waffle recipe and they turned out great! Lightly sweetened and no after taste - nobody could tell I changed up the recipe! If you are looking for a sugar replacement I would recommend trying Nectresse. The last product I sampled was Belvita Breakfast Biscuits. They come in 4 different flavors - Cinnamon Brown Sugar, Blueberry, Apple Cinnamon, and Chocolate. I tried the Cinnamon Brown Sugar flavor and they were so good! There are 4 biscuits to packet which makes for a perfect snack for the on the go - small enough to not leave you super full but enough to leave you satisfied. They are lightly sweetened, flat, crisp cookies. I think they would be great for kids of all ages too! I am excited to try the other flavors! How do you decide to try new products? What's been your favorite new find lately? 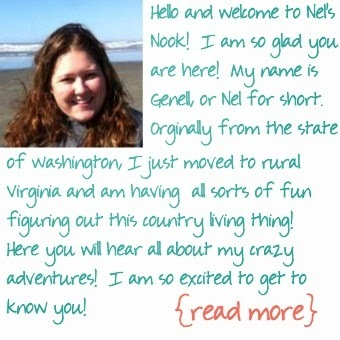 Don't forget to like Ne's Nook on Facebook or Google+!